Learn to train your dog to hunt and retrieve shed antlers. In this DVD, Jeremy Moore, professional dog trainer and developer of Dog Bone training products, walks you through the process of training a dog to hunt for and retrieve shed antlers. With techniques that bring out your dog's natural abilities using positive motivation, Moore shows how to encourage the retrieving instinct and develop a thorough search pattern in the field, resulting in a dog highly motivated to find and deliver shed antlers to your hand. You not only get the one-on-one chapters covering the process of training a shed dog but also a behind-the-scenes look into the candid application of each chapter covered. 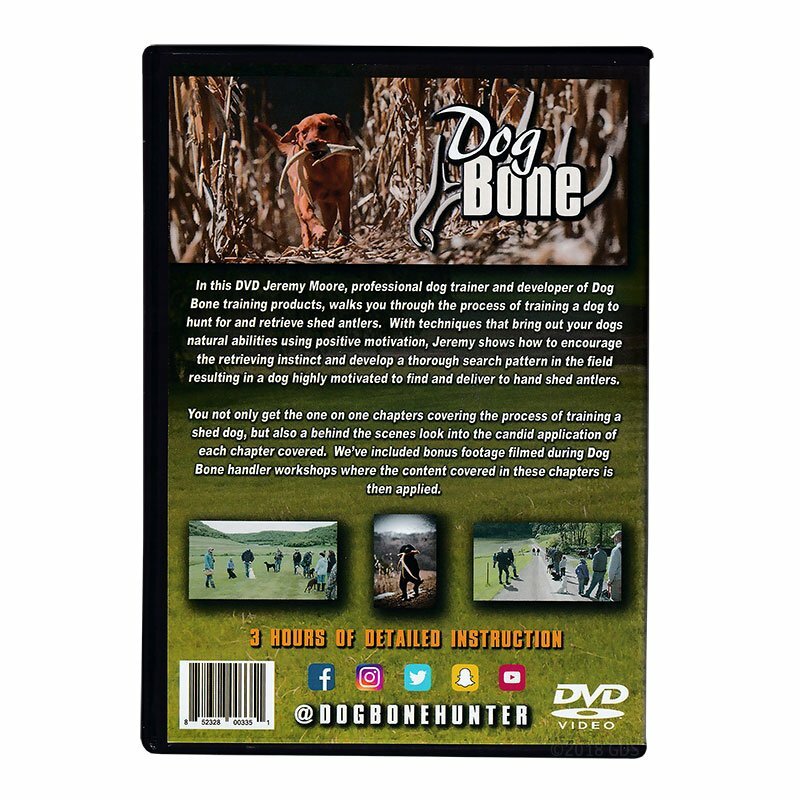 Includes bonus footage filmed during Dog Bone handler workshops where the content covered in these chapters is applied. 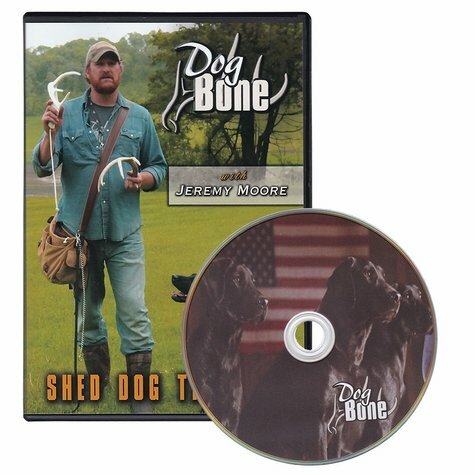 Looking for more shed dog training equipment?